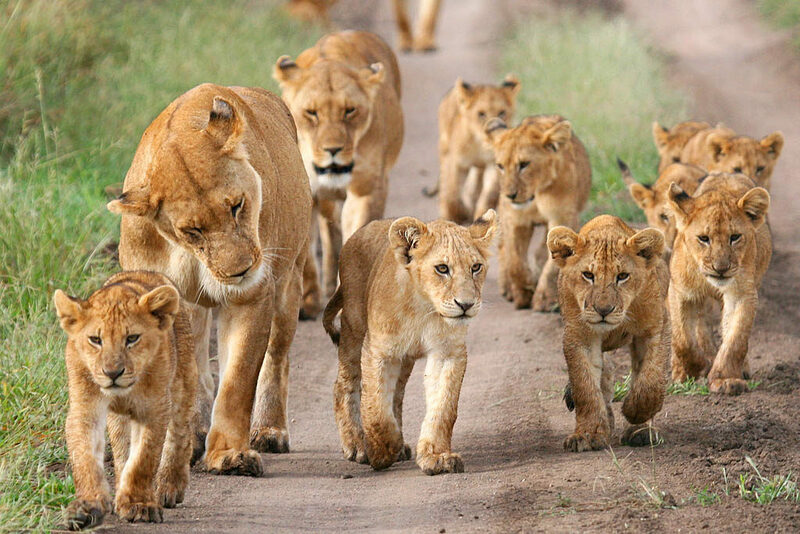 Africa is the second largest continent in the world and home to a variety of wildlife. 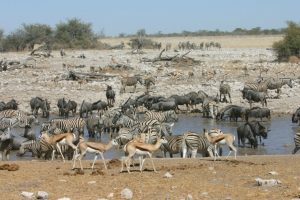 From large cats to the smallest of insect, and from the most venomous snakes to the second largest crocodiles in the world, all have made the African continent their home. Apart from this, three of the six species of the great apes (humans not included), the eastern and western gorillas, the bonobo and the common chimpanzees can also be found living on this landmass. 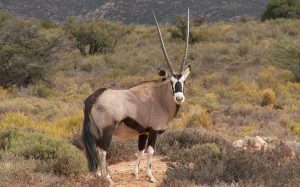 Africa is a hotbed for fauna, so let us delve into the facts about the wildlife that roams the mountains, plains, and deserts of this continent. Hippos are one of the most dangerous animals of Africa and do not tolerate any encroachment upon their territory. They are also surprisingly fast runners despite their bulk, being able to reach speeds of up to 19 mph (30 km per hour). They are well-adapted to swimming underwater, where, their weight takes them right to the bottom of the water body, mostly shallow. They have also been known to attack and capsize small boats, injuring, sometimes even killing the passengers. Africa is home to one of the most tenacious animals in the world, the honey badger or ratel. Despite being less than half the lion’s size, these mustelids have been seen standing up to and surviving attacks by whole prides of lions. Baboons make alarm calls to warn any nearby animals if there are predators like cheetahs and hyenas in the vicinity, making herds of ungulates and other potential preys to scamper off. 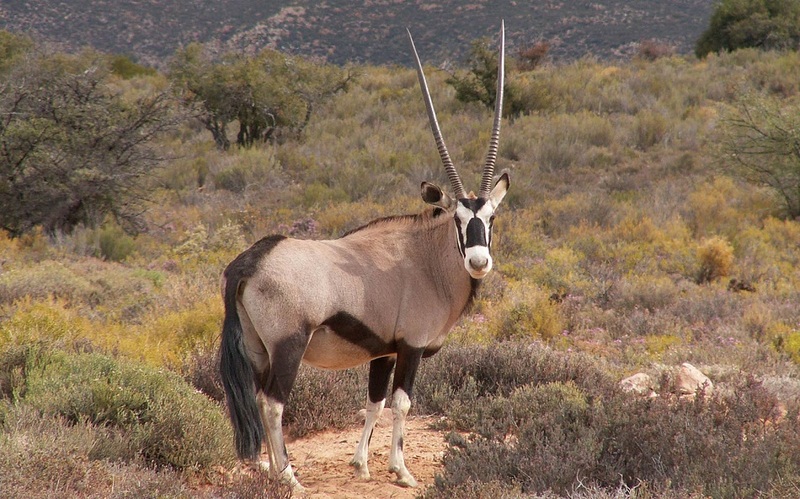 Other animals that also make warning calls are the impala, vervet monkeys, francolins, and ox-peckers. The great African migration involves countless wildebeests, gazelles and, zebras. They undertake a long pilgrimage from the Serengeti in Tanzania to the Masai Mara in Kenya, where there are plenty of luscious grazing grounds for the millions to feed on. 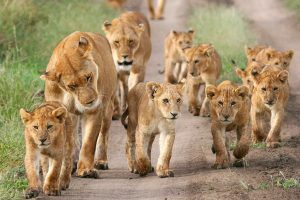 They start their expedition in March and April and reach the Masai Mara in June or July, and by September, the animals start their migration back to the Serengeti. In spite of being a haven for wildlife, many species of animals living in Africa are considered endangered and critically endangered. The riverine or bushman rabbit, found in South Africa, has been critically endangered since 2004, as per the IUCN. The chimpanzee has been driven to endangerment and considered as such since 1996. The African wild dog is also on the endangered list, as is the Ethiopian wolf. One of the most critically endangered animals in Africa is the rhinoceros, the black rhino and one subspecies of white species, the Northern white rhino. 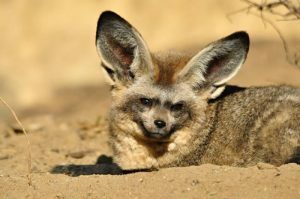 Despite so many species being on the brink of extinction, conservation efforts are well underway to get them back from there. 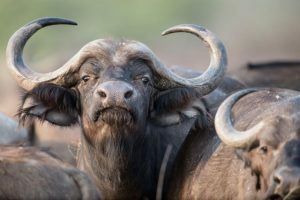 The African Wildlife Foundation (AWF) and many other conservation bodies have ramped up security for all threatened species of the continent, and as well as for those which are not threatened yet. There are forest rangers as well as sniffer dogs to make sure that animals are safe from hunting. The lion, leopard, rhinoceros, elephant and the Cape buffalo are considered the big five ‘game’ of Africa with people from all over the world still trying to hunt them for monetary gain. 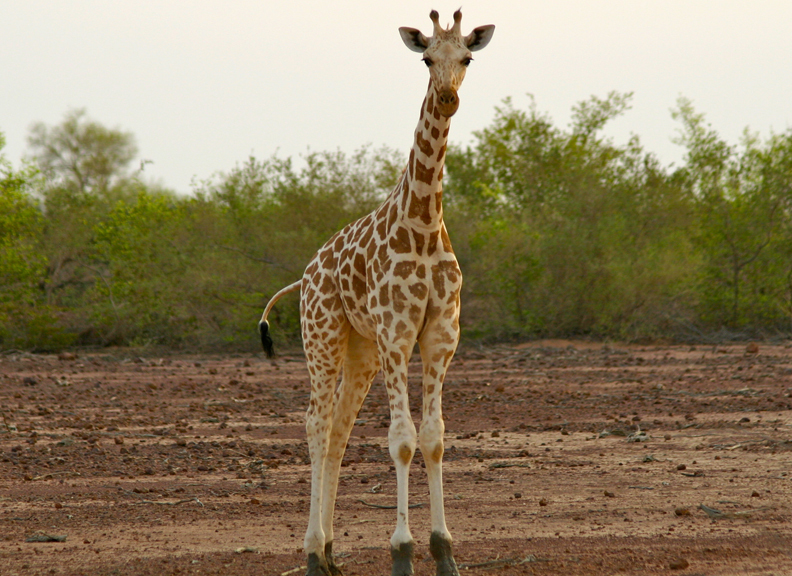 Some of the fastest terrestrial animals are found in Africa. 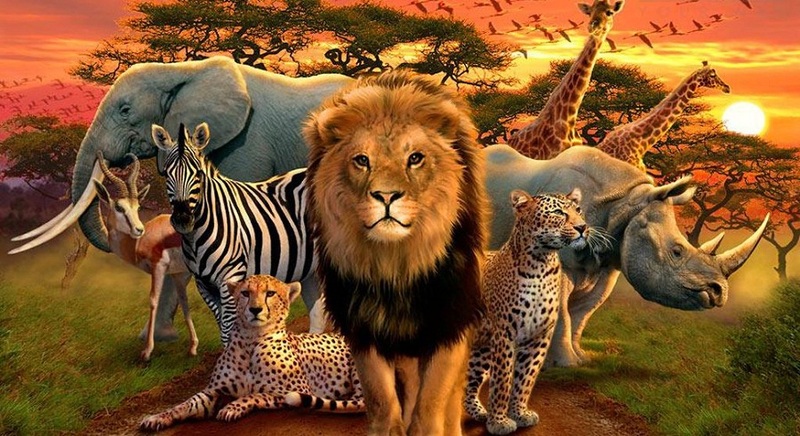 These are the cheetah, springbok, wildebeest, and the lion. The eastern lowland gorilla is the largest primate in the world. 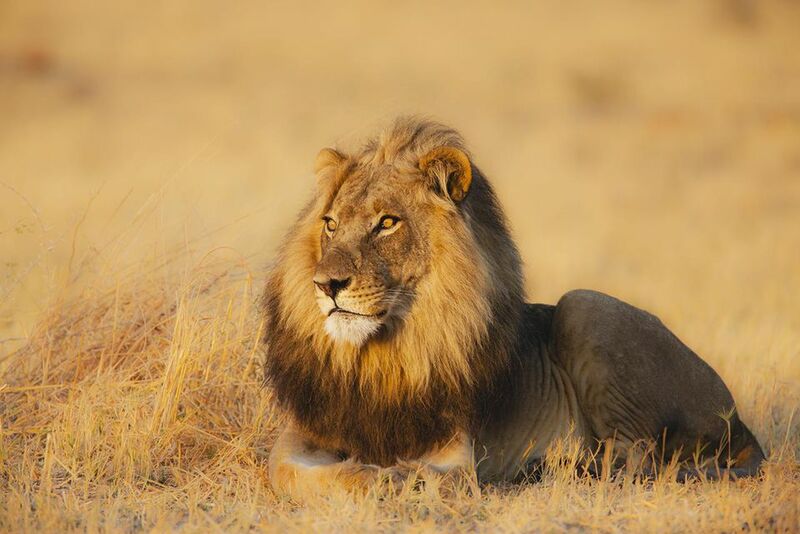 African lions are the third largest feline in the world, after the Siberian and Bengal tiger. The ostrich is the largest bird on the planet. 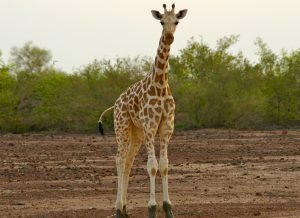 Giraffes are the tallest terrestrial animal, with the southern giraffe being the tallest, followed by the Masai giraffe and the reticulated giraffe. Three of the largest terrestrial animals can be found in Africa; the elephant, rhinoceros, and the hippopotamus. The dwarf blue butterfly, found in Zimbabwe and South Africa, is the smallest butterfly in the world. The world’s largest frog, the appropriately named goliath frog, can be found in Cameroon. The largest reptile in Africa is the Nile crocodile. The African penguin is the only penguin species native to the continent.